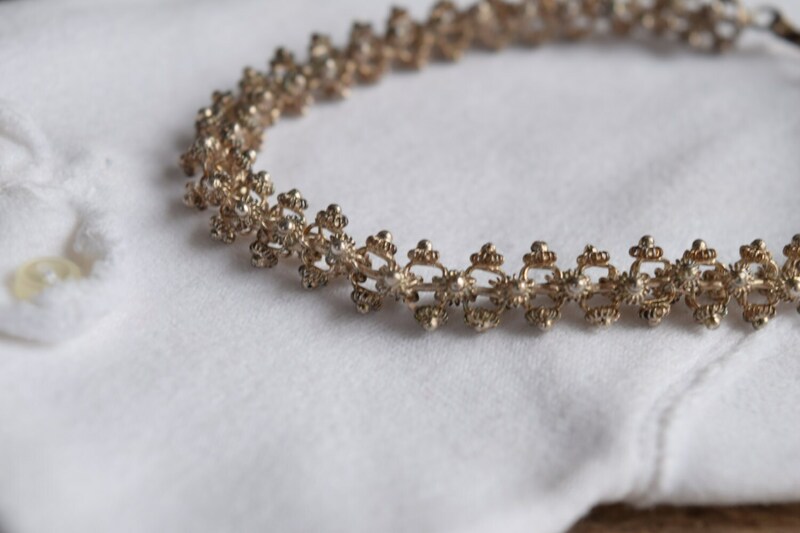 This vintage cannetille bracelet is a charming, yet delicate piece. 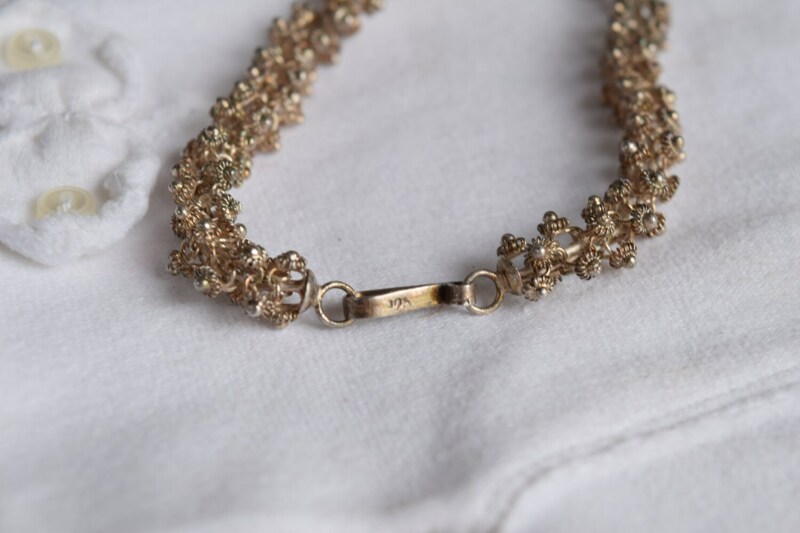 Lightweight and airy, it features an articulating link design and superb cannetille embellishments. 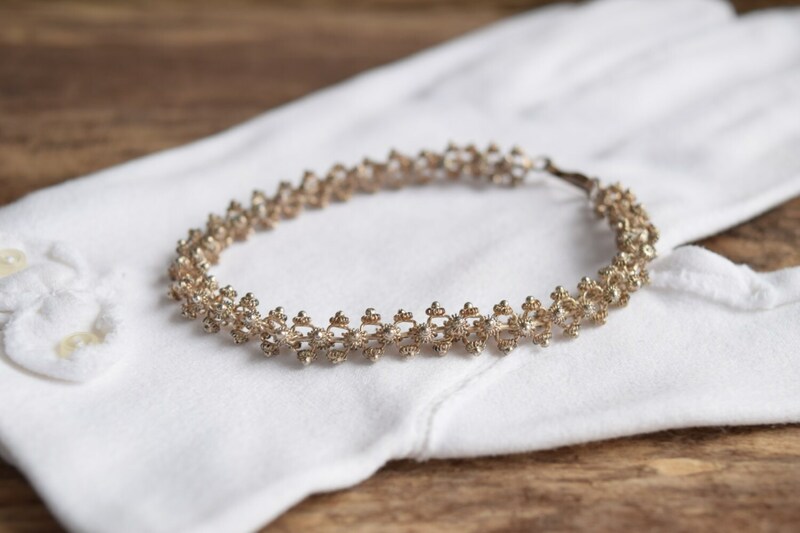 Crafted from sterling silver, this bracelet can be easily dressed up or dressed down, making it a staple for your fashion wardrobe. Condition: Good vintage condition. Minimal wear with a nice patina. No compromising damage, one or two of the tips are small or smushed. 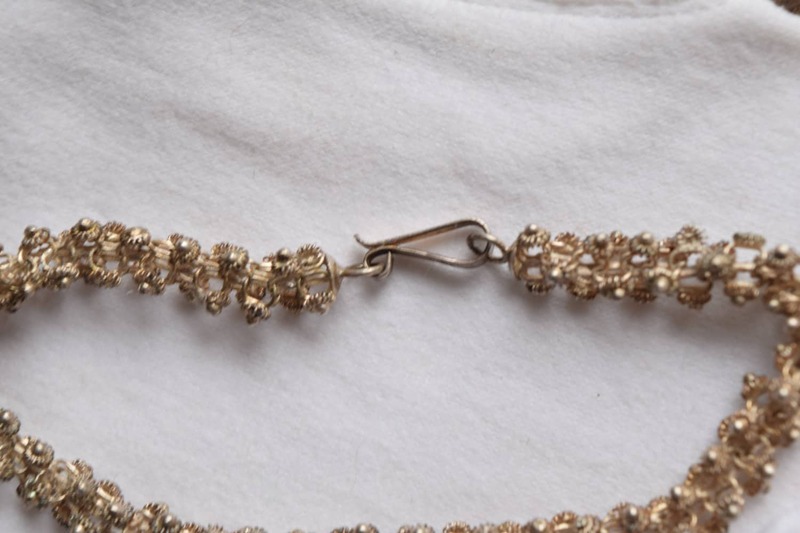 Cannetille is a European jewelry crafting technique that uses thin metal wires and hammered sheets. 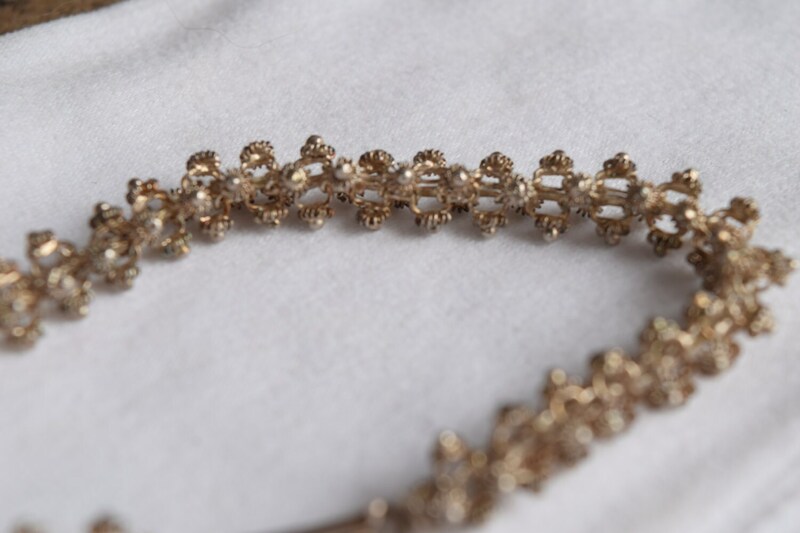 It was made popular in the early 1800s and is commonly found incorporated with filigree designs. Please note: This item is pre-owned and does feature wear. Please review images and see notes above. Gloves in picture are not included with purchase.